Alf Hanna has crafted a full tang Drop Point Hunter with a 4.25-inch mirror finish hollow ground blade of CPM S35VN powder metallurgy high carbon stainless steel with a hand fileworked spine. 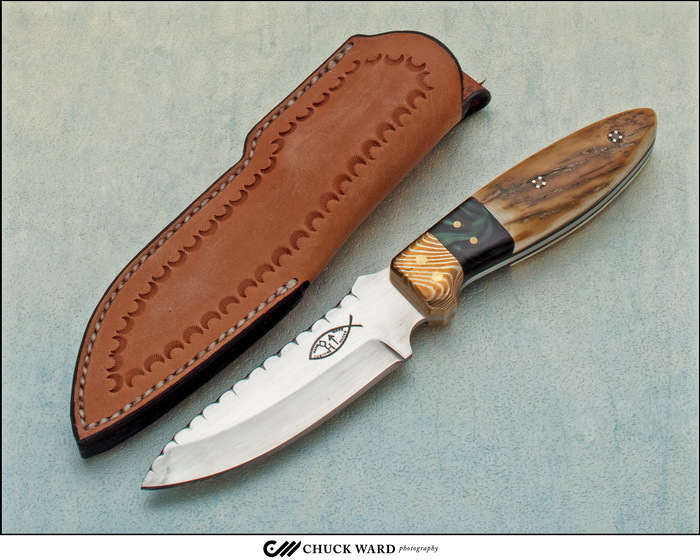 The handle scales are Mammoth Ivory with Mokume bolsters. A leather sheath by the maker is included.